Is Confirmation a Disappearing Rite of Passage? It is difficult to exaggerate the pride of a grandfather as he marches with his daughter and twin granddaughters in the procession marking the moment of “Confirmation” at The Temple - Tifereth Israel. For four generations of our family (including my father before me in 1904) this century-old Shavuot-related rite of passage at Reform temples, and now in most Conservative synagogues, has been a meaningful and inspiring life cycle event for the young people involved, as they move into their lives in the Jewish community. I am at the right at the June 2006 Confirmation of my granddaughters. And that’s the way it was intended by the leaders of the movement to reform Jewish practices in Germany in the 19th century. They attempted to create a meaningful modern ceremony for young people, replacing Bar Mitzvah, to mark the festival of Shavuot, called “the seminal moment in Jewish history — receiving the Torah at Mount Sinai." But as I reflected recently on that rite of passage, it struck me that Confirmation as it was celebrated by my father in 1904 with Rabbi Moses Gries, by me in 1941 with Rabbi Abba Hillel Silver, by my daughter in 1976 with Rabbi Daniel Jeremy Silver, and by my granddaughters in 2006 with Rabbi Richard Block, has, at best, lost its footing. In those days the Confirmation ceremony marked the pinnacle of Jewish education for young Reform Jews. During the second half of the 20th century the event was marked by large numbers, with perhaps all eligible youngsters participating. There were full sanctuaries, with standing room only at times, large family gatherings and some gifts. It was “coming of age” for young modern Jews. It was not unusual to have over 100 in the large Reform Temples in the era. Recent years have see a dramatic decline in the number of young Jews being confirmed. Audience size has dissolved and the event itself seems to have lost much of its meaning. Many believe that the Reform movement's revival of Bar Mitzvah in the 70’s, and more recently the celebration of Bat Mitzvahs, has altered, perhaps forever, the size and significance of the Shavuot-related Confirmation rite of passage. 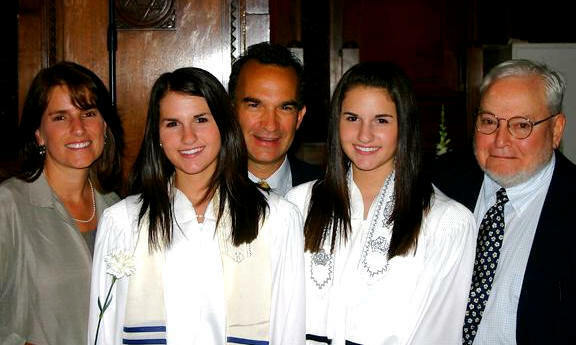 As an example, in the year 2006 when my twin granddaughters were confirmed by Rabbi Richard Block, only 29 participated in front of a scattered audience, yet more than 80 in the same class had been B’nai Mitzvah. These statistics are fairly consistent in other area Reform congregations. Needless to say, these rabbis are quick to point out that neither congregation has considered abandoning Confirmation. Instead, the Connecticut congregation has moved Confirmation back a year, so it better meets the needs of a very busy and heavily scheduled generation in that upscale area near New York City. The North Carolina congregation has decided to align Confirmation with high school graduation. All Bar/Bat Mitzvah students are offered the opportunity to return to the temple for a very special “Confirmation” as they move into another phase of their lives. The rabbis report early successes. In our Cleveland area, the rabbis and educators I have interviewed readily agree that the numbers of confirmands are down significantly since the advent of Bat/Bat Mitzvah. But they say that new and creative programming is bringing a new significance to Confirmation as a way to stimulate interest and to improve retention in the years following Bar/Bat Mitzvah. “The days of triple digit confirmations are gone” says Rabbi Joshua Caruso of Anshe Chesed - Fairmount Temple. But none are ready to abandon the ceremony and its educational/social values. Instead, they aim to make it a better, more meaningful life cycle event for those interested in making the commitment. “It’s not for everybody”, says Rabbi Caruso. “They are invited to pray, learn and join other adult members of our congregation. They will be invited to serve on committees, to be represented on our Board of Trustees, receive their own High Holy Day ticket. Their membership, largely independent of their parents will be extended to age 25." At Fairmount Temple, Rabbi Joshua Caruso stressed that innovation has come to the Confirmation program but “we want to make sure that the door to Judaism remains open for those who do not come; Hoping that they will return to Judaism at some later time. I came back to Judaism in my 20’s.” he confides. At Park Synagogue, which had the largest Confirmation class (33) this year, education director Terri Hochberg says that Confirmation has been a “big” tradition” since 1913. She says that while the numbers have been down for the past 20 years, those who continue are the most committed students. This year, as part of their ninth grade confirmation year program, students have studied with Federal Judge Dan Polster, examining ethics from Judaic and biblical text. “When to compromise and when to fight if you firmly believe you are right”. Each confirmand read a statement about a moral or ethic issue, and the decision of whether to compromise or fight. School after Bar Bat Mitzvah needs to look really different. New offerings include, Bible stories We Never Told You, How to support Israel on a College Campus, Jewish Mysticism and Yoga, Judaism and Food, Turning Text Into Rap. Teens need programs that have them doing and contributing to the community. High school students serve as teachers aides, and work in community level projects as part of the curriculum. Parents play the most important role in influencing their children to continue their Jewish education. Get them involved. We’re not advocating a struggle every week in your house, but if something is really important to you and you know the long term benefits, your child will understand. A student is most likely to continue if he/she has a friend going too. Much of Religious School is a social outlet for our students. It is really important if they have or develop friendships there. Each of these pages has images of the confirmation. History: My Jewish Learning, Judaism 101, About.com and the 1908 Jewish Encyclopedia. Rabbis Chapin and Guttman on the URJ website: week 1, week 2, and week 3. In the October 10, 2008 Cleveland Jewish News. Visitors to The Temple - Tifereth Israel in Beachwood may have seen the large digital display of confirmation classes located near the lobby. This very effective way to view past confirmation pictures is now available on their website. Click here. Maurice (Bud) Weidenthal is a native Clevelander and a member of a pioneering Jewish family that arrived in the city in the mid-19th century. His grandfather, Maurice, and his two brothers were prominent Cleveland journalists in the late 19th and early 20th century. Weidenthal graduated from Cleveland Heights High School and was a decorated combat veteran of World War II where he served in a unit of General George Patton’s Third Army. He was editorial writer, assistant city editor and education editor for the Cleveland Press. In 1981 he became vice president for Public Affairs for the Cuyahoga Community College District. 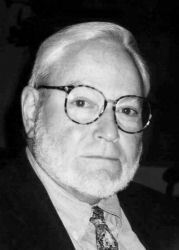 From 1989-2005 he was publisher and editor of the Urban Report. Currently he is a free lance writer and consultant for Ranc Associates in Georgetown Texas. To continue to the first generation, click here. Text on the pages that follow is by the Cleveland Jewish History webkeeper, Arnie Berger.